Call Us for Fleet Pressure Washing Services! What is parking lot striping? If you have a large parking lot in your office, garage, hotel, restaurant, hospital, warehouse, or business park; and your parking and fire lines have weathered over time. At CW Parking Lot Striping, we remove old worn out parking lot stripes and re-stripe with our parking lot stripping paint. We are a full service striping contractors. At CW Parking Lot Striping, use top-rated equipment and supplies to remove the old paint and re-stripe with our heavy duty oil-based paint. Our paints are environmentally-friendly. 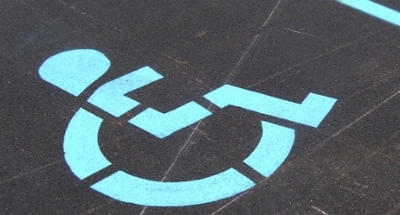 For handicap parking spots, we use ADA-approved markings. We use the Graco airless striping machine, that has proven to do the job much faster, which means more savings for you. For 23 years at CW Parking Lot Striping, we do the job faster and better than any of our competitors. We are proud to be BBB Rated. Our technicians are well-trained and you can trust them to complete the job to your full satisfaction. We pride ourselves in giving you our high standards of quality and workmanship. Our rates are competitive. We are insured and bonded for your protection. Call us today at (469) 425-2716 and ask us about our free estimates. Call Us for Pressure Washing! Copyright © 2018 cwpressurewashtx.com All rights reserved.